of NCSH 3rd through 6th graders passed the 2018 statemath exam! 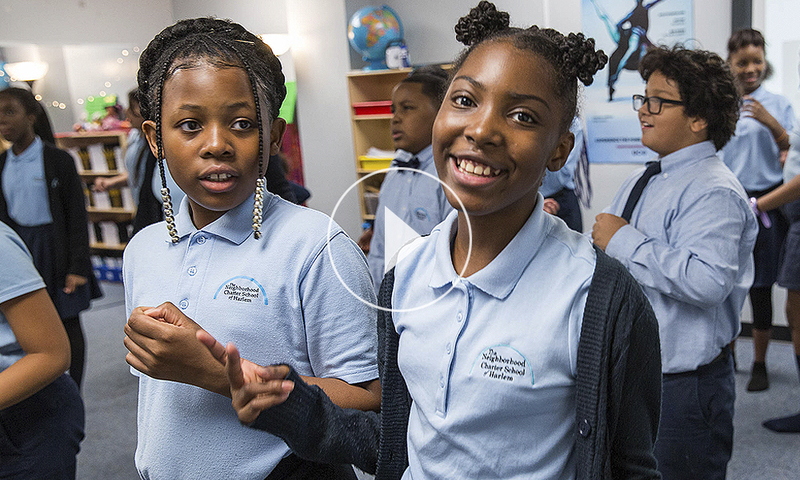 Opened in August 2012 in Harlem, NCS provides a rich, challenging K-8 program that cultivates the intellectual, social and emotional development of each child. We are proud of our fully-inclusive program for high functioning children with autism spectrum disorders which serves approximately 15% of our student body. Neighborhood Charter Schools seek to instill in our children a love of LEARNING, INTEGRITY (honesty, keeping your promise, doing things that promote health, not harm to our body and mind), GOOD CITIZENSHIP (being a responsible member of a community, concern for others, respect for the world, seeing what needs to be done and doing it, peace-making, fairness, sharing, compassion, understanding, forgiveness and loyalty), HARD WORK (perseverance, initiative, optimism, willingness to try something new) and TEAMWORK (working together, cooperation, flexibility). We use the acronym LIGHT as a short-hand for these values and we expect our students to exhibit them at all times. Our academic program focuses on making sure that all of our students are fluent readers and confident writers, that they have solid math skills and that they are well on their way to becoming independent learners and critical thinkers by the time they reach third grade. We do this by combining intensive direct instruction in math and literacy skills with opportunities for independent work, creativity and problem solving. Our students also study science, history and geography using engaging curricula that will build on their natural curiosity, give them a firm foundation in these subjects and reinforce independent learning and critical thinking skills. The arts, physical educational and social and emotional learning are also integral parts of each school day. See Curriculum below for details. Our extended school day and school year allows for more time for learning each school year than in a traditional public school. NCSH scholars are in school for 195 days each year. Our school doors open at 7:15 AM for breakfast and school dismisses at 4:15 PM. 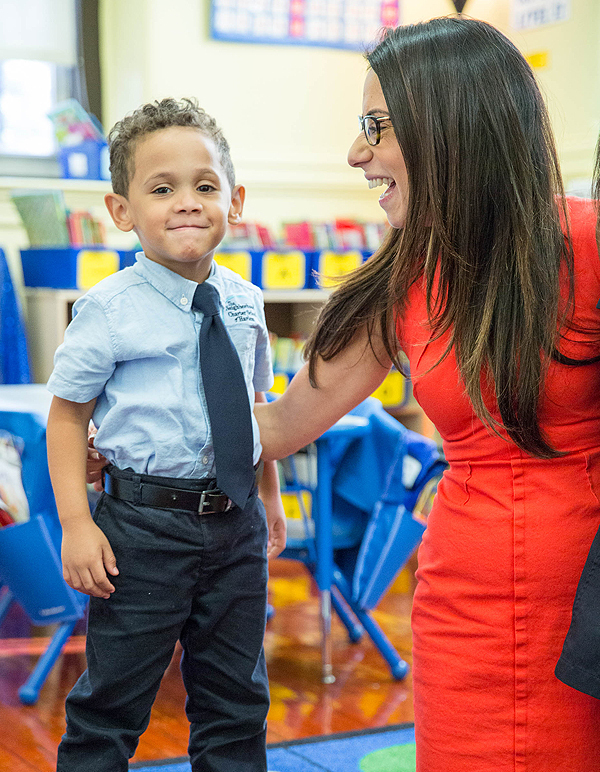 Our school provides an orderly, predictable environment that gives students a sense of security and pride in their behavior. We follow schedules, start on time, and transition between activities and classrooms with ease. We have high expectations for our students because we know that they are all capable of excellence. The result is a school culture and classroom environment that is warm, respectful, challenging and joyful. We know that parents play a critical role in their children’s academic success. NCSH has created a partnership with parents through a parent contract, workshops, family celebrations and outings and frequent communications between teachers and families. We have an active parent association that works closely with school staff. There are two teachers in each of our classrooms and assistant teachers who provide help as needed. Our high teacher to student ratio and emphasis on small group instruction allows us to give all our students the individualized attention and support that they need to maximize their academic potential and go on to succeed in high school and college.